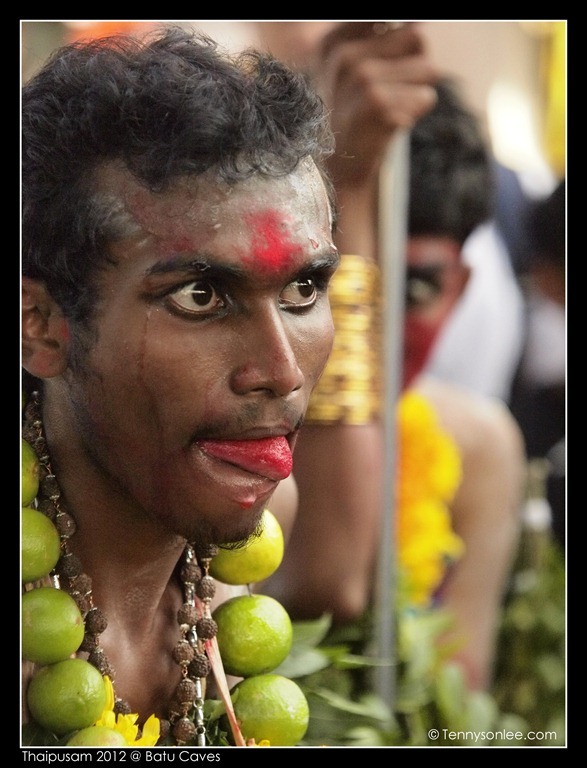 When the devotees were in trance, they displayed different character following the ‘deity’ that they represented. 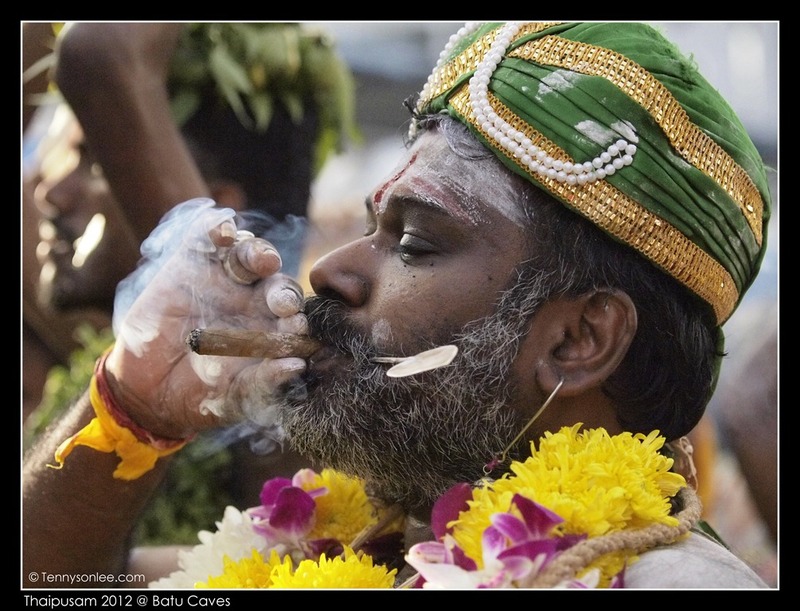 Some drank beer, some smoked cigar, some ate fruit etc. I did not join the processing because the weather was relatively hot and too crowded. I was not joking as there was really over a thousand photographers and even more tourists. I arrived before 6am and took this shot. Notice the color was yellowish and mix color due the street lights and spot lights. The procession already started since mid night. 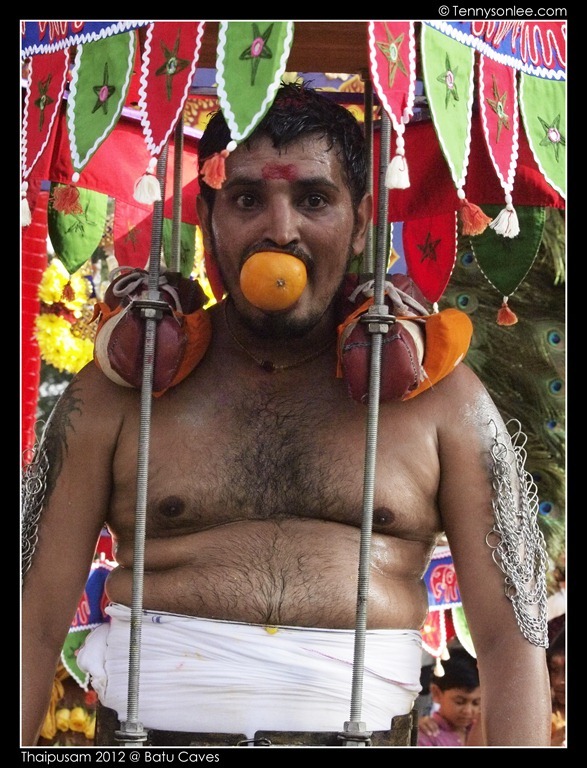 I did not use any flash as it is not advisable to disturb the devotee under trance. I saw a few camera being smashed and chased after firing strong flash gun. 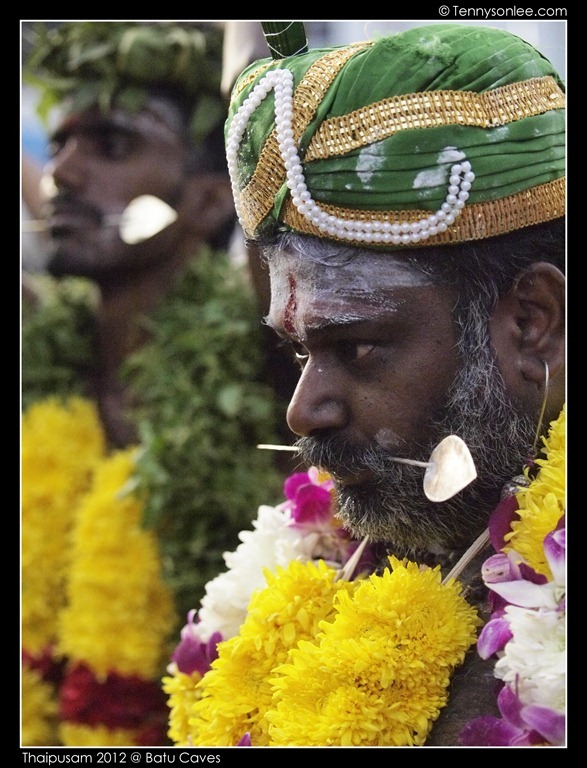 Photographers and tourists should respect the festival and turn off the flash. 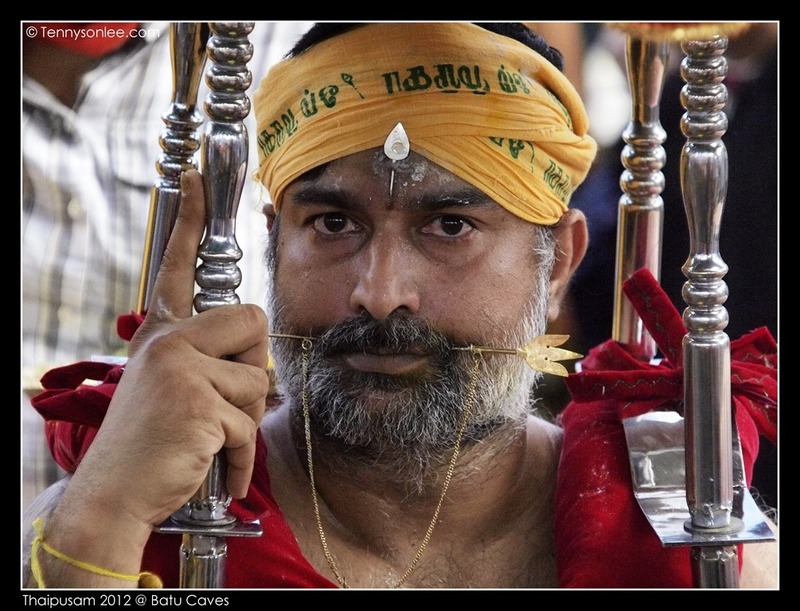 On my way home, I quickly took few shots of the expressions of the devotees. 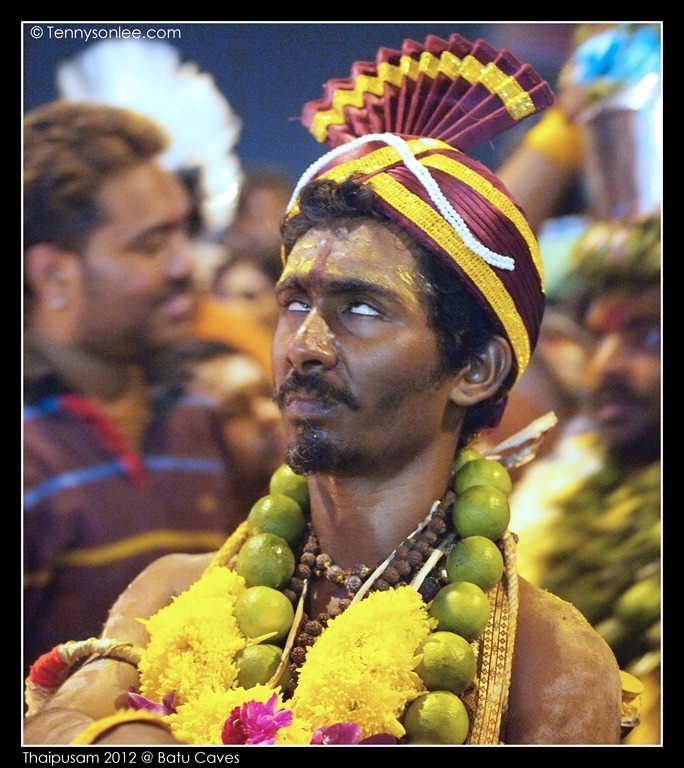 I tried to capture one that illustrate the feeling if you are inside the kavadi. It was like inside a steel or wooden cage. 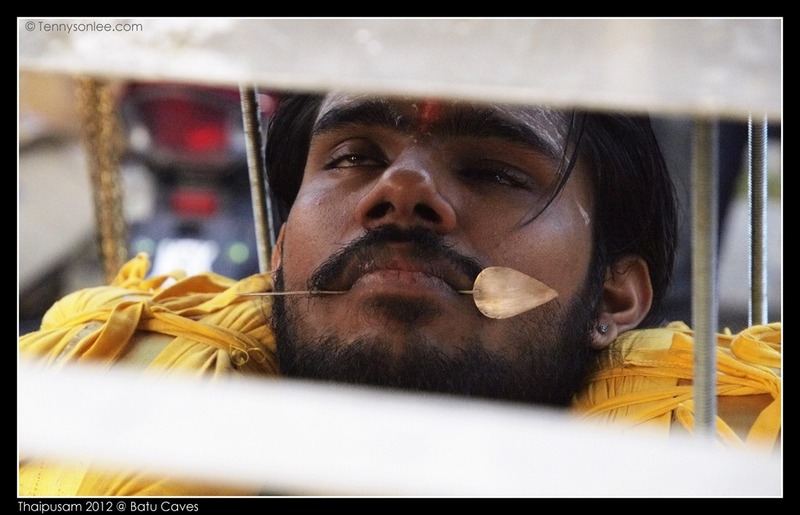 Many devotees were in estacy and trance mode. I tried to look for eye contact or emotion on their face. Some were calm (only momentarily or feeling exhausted by the walk). The festival was very infectious with emotions. 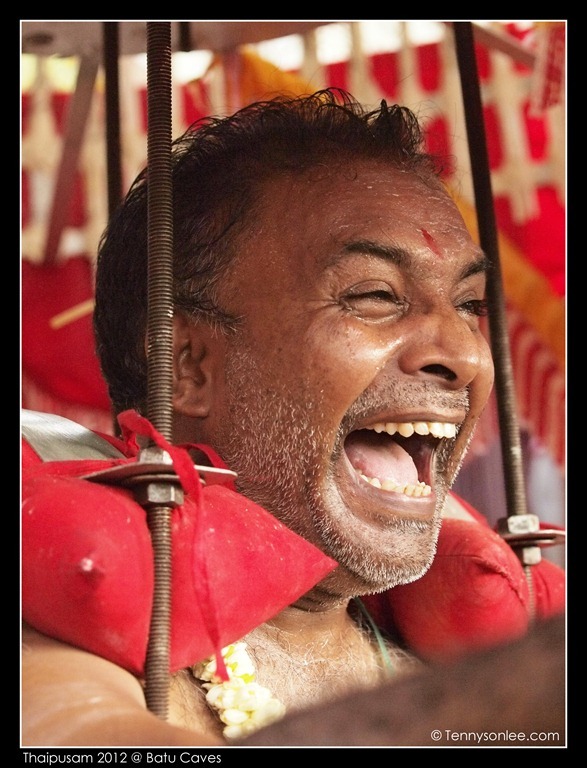 Partly due to the rhythmic drums, partly due to the devotions expressed by the devotees. 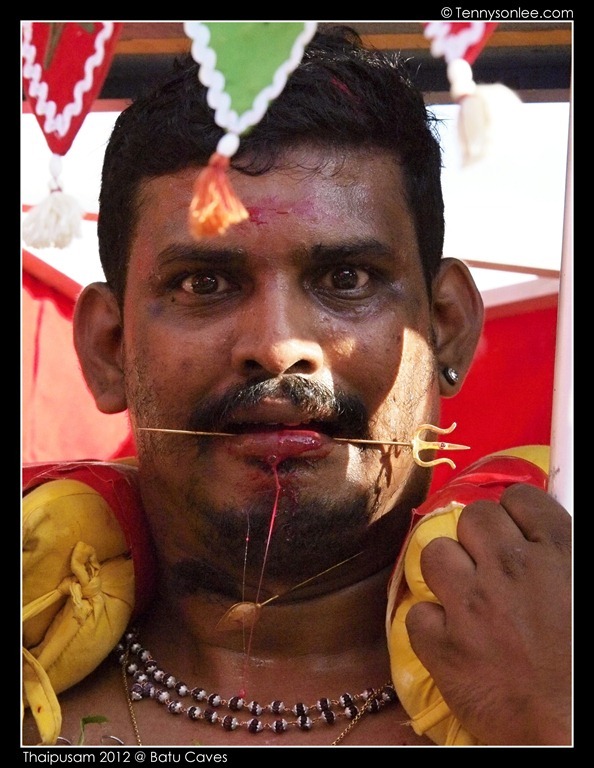 Thaipusam celebration at Batu Caves was an awesome event. No wonder it was the #1 tourist attraction event in Malaysia (it attracts more foreign tourists than local tourists). Local like to observe this event on TV (too congested ). This entry was posted on February 7, 2012 by Tennyson. 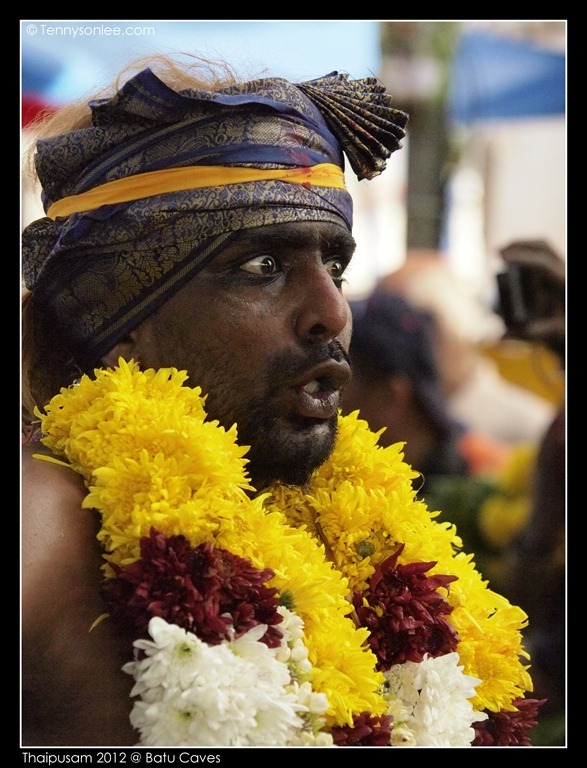 It was filed under Malaysia, Places, Selangor and was tagged with Batu Caves, Thaipusam. Thanks for the shot bro..God bless you!! very nice photos Uncle Tennysonlee.I think you can become photograph.